This isn’t your grandfather’s biomed. It may hold true that it isn’t your father or mother’s biomed either. Change has come to Dodge and that change is spelled; t-e-c-h-n-o-l-o-g-y. Much has changed in the last decade and while that change can be found throughout our culture, and throughout the world, it is driven by processors and hard drives, HDTV, broadband Internet, Wi-Fi, smartphones, flash storage, 3D printers and voice recognition. Much of that technology has found a home in healthcare settings where the latest technological advances can improve sterile environments, improve imaging, aid in communications and diagnosis and allow for the uploading of EMR (electronic medical records) data. EHR (electronic health records) has become a part of the healthcare lexicon. For these very reasons, the HTM professional of today has to wear a more comprehensive tool belt. Electronics training has been supplemented with network knowledge. Patient safety considerations now include the safekeeping and safe transmission of patient EMR data. Biomed managers today are worried about the shortage of clinical engineers who can work on new technology. How do clinical engineering directors find biomeds who are proficient at servicing the latest technology, which often requires IT skills? And how are college biomed programs preparing the next generation of students for the challenges of servicing increasingly complex, computerized medical equipment? Are these relevant questions and have the requirements for a biomed new hire changed as much as was predicted a couple of years ago? “We are asked to find a biomedical equipment technician that has an associates degree in Biomedical Instrumentation or military BMET training. Our client will then describe the number of years and any specialty equipment — ventilators, anesthesia, sterilization — that they require,” says Doug Stephens, chairman of Stephens International Recruiting Inc.
“We are seeing many schools that now have basic computer repair training and the basic theory of networking in their curriculum for the biomedical equipment degree,” Stephens says. 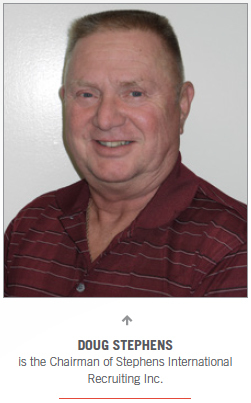 “Our advisory committee, made up of employers, keeps us up to date as to what changes are needed in the curriculum to meet changing skills and abilities needed by new hires,” says Roger Bowles, MS, Ed.D, CBET, department chair and professor in the Biomedical Equipment Technology Department at Texas State Technical College in Waco, Texas. 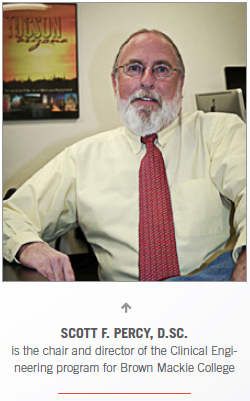 Scott F. Percy, D.Sc., chair and director of the Clinical Engineering program for Brown Mackie College in Tucson, Ariz. says that hands-on learning is still a valuable part of a well-rounded biomed. As healthcare employers upgrade their technology and integrate more devices to networks, there are more opportunities for students to learn real-world skills that are in demand today. “Of course, a big part of the student’s college classroom activity centers around IT training, coupled with electronics and current biomedical equipment classes,” he adds. Brown Mackie College offers an associate of applied science degree in Biomedical Equipment Technology at its Tucson campus. Percy points out that with a two-year program, it is important to work the program alongside additional parallel activities to get the most benefit. “An excellent example is our VA Hospital here in Tucson. They encourage our veteran students to apply for work/study which will pay the student while they learn the latest in biomedical and IT skills. Other hospitals here also gladly welcome our students as volunteers with the same type of learning experiences,” Percy says. “I find it heartening when I see the growth of one of our volunteering students. It can be quite amazing. Some students actually spread out their volunteer time between two or more facilities, which gives them an outstanding bit of education,” he adds. 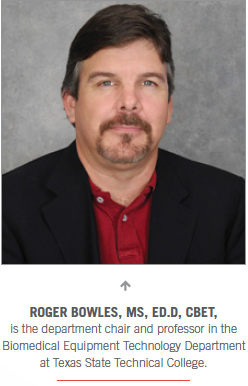 Bowles agrees that the exposure to real-world work is an important learning tool and a basic component of his program. “We have also had a renewed focus on critical thinking skills and soft skills, such as communicating with management, over the past five years. The basic courses stay up with the A+ and Network+ certifications, plus we have a medical networking specific course in which the instructor updates regularly,” he says. The program at Brown Mackie also has the work experience component that is expected of students. Working in a real biomed environment allows for exposure to the newest technologies. The access to newer devices and processes may be one of the many benefits of on-site training. One challenge that Bowles points to is the aging of what was once current technology on hand in the classroom environment. 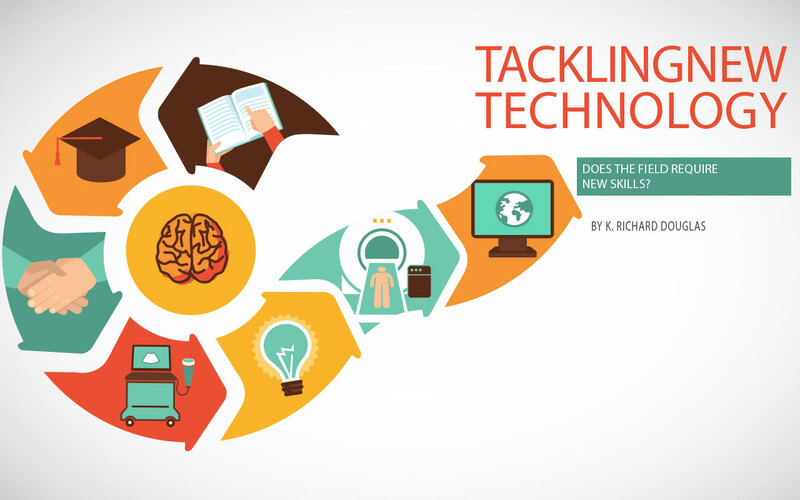 “It is increasingly difficult to prepare students for servicing the latest equipment. Especially because many schools, us included, rely on donated equipment that is usually 10-plus years old. However, our program does include a healthy dose of computer hardware and networking courses and we are constantly scouting for newer equipment,” he says. “We also stress application in all of our courses so hopefully they fit together and build on each other and are not just individual courses tied together to make a degree,” he adds. Percy adds that bringing in subject matter experts, in addition to teaching faculty, can be beneficial. “We will, on occasion, have visiting experts. Those in the future will be more IT oriented. I find that getting an expert to speak about what they know about is not a difficult task,” Percy says. The same methods that keep veteran biomeds connected to the newest trends and technologies can be a good source for students. “Attending regional and national biomedical conventions is not mandatory for our students, but I suggest strongly that these gatherings of manufacturers and biomedical experts presenting is an excellent way of learning about the newest in devices and theory,” Percy says. Tim Huffman, manager of biomedical technology services for Baylor Scott and White Health, says that the IT department should continue to be tapped for those things they do best. Huffman does see a role and need for HTM professionals to be trained in some areas that cross over into the IT realm. “Of course there are some basic tasks that the HTM professional should know how to do such as setting up AE titles, IP addresses and port numbers for DICOM settings,” he says. Huffman points out that 10 percent of the CBET exam is devoted to IT. Indeed, he is right. Buried among the questions related to patient safety, anatomy and physiology, electronics and problem solving are questions about IEC 800001 and network protocols. That should provide a glimpse into what is a current reality for the field and a hint of things to come in the future; a future where technology doesn’t go away. Jorge Ramos, technology manager for the Aramark-run Healthcare Technologies Department at University Medical Center Clinical Engineering Department in Las Vegas says that there is an advantage to having part-time employees in his department. It allows for people pursuing an education to also work. Ramos runs his facility’s equipment distribution program. “It is from this program that we promoted our current CE/IT BMET who continues to acquire certifications even after his AA degree,” he says. It’s not always an advanced high-tech skill set that is sought. Sometimes, it’s the skills that come with specializing. On the rare occasions that Ramos needs to consider an add-to-staff, he has some specific considerations. It’s not just the biomed students who need to be up-to-date with their skills, but faculty also, Bowles points out.